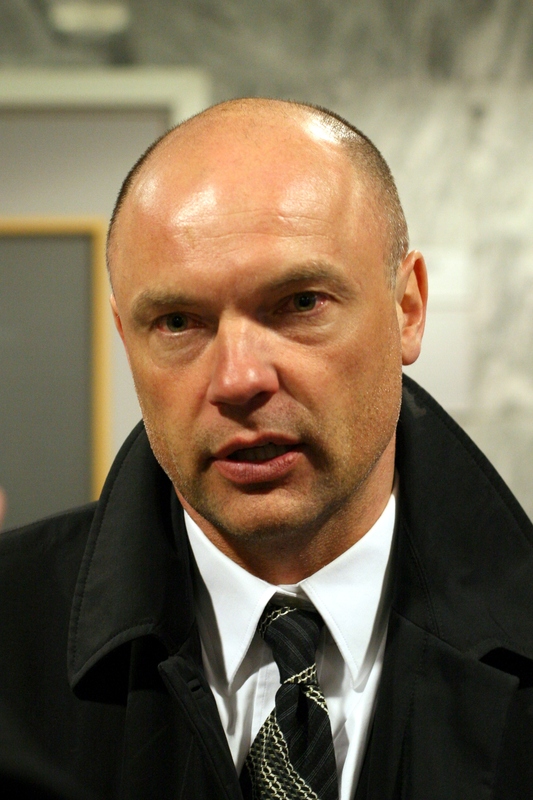 The pressure on Wigan manager Uwe Rosler was mounting last night after a 3-1 defeat at local rivals Bolton Wanderers. Promotion favourites Latics have only won once in the last 11 matches and could drop into the bottom three after today’s games. A disastrous second half display gifted Wanderers the three points and moved them out of the bottom three and above Latics in the table. Wigan had been the better team in the first half with Callum McManaman twice hitting the woodwork, but a second half capitulation commenced when Max Clayton scored the opener after 50 minutes and Craig Davies soon added a second. The game was effectively over on 61 minutes when Lee Chung-yong converted a penalty, although McManaman volleyed a late consolation goal on 71 minutes. The manager once again changed his starting line-up from Tuesday night’s defeat at Brighton with Emyr Huws, Marc Antoine Fortune, Leon Barnett and McManaman returning. Out went James Tavernier, Don Cowie, Martyn Waghorn and James McClean. Latics adopted their high pressing game and could have been have been 2-0 up inside the first 10 minutes as Shaun Maloney volleyed wide from a good position and then McManaman produced a 25 yard dipping effort which skimmed the crossbar. Bolton had an opportunity through Clayton but Scott Carson did well to deny the former Crewe Alexandra striker. Wigan finished the half well on top and creating plenty of chances. First Espinoza was played through by Fortune but he dallied in front of goal and the opportunity went begging. McManaman then smashed a 20 yard drive against the woodwork before Espinoza fired another effort wide of the target. Wigan’s inability to finish their chances once again proved to be their downfall, as Bolton took total control in the first 15 minutes of the second half. Lee Chung-yong fed the ball through to Clayton who slotted the ball through Carson’s legs. The Wigan players heads went down and confidence flowed through Wanderers. A deep cross from the right found Craig Davies and despite a half-hearted challenge from Huws, the striker was able to head into the ground and past Carson. Clayton should have added a third for Bolton, after a desperate Barnett backpass, but he pulled his drive wide of the target. Barnett was then panicked into committing an unnecessary foul on Matt Mills in the box. Lee Chung-Yong sent the spot-kick straight down the centre of Carson’s goal and effectively confirm the three points for the home team. Latics managed a consolation goal on 79 minutes when substitute McClean produced an excellent cross which was superbly despatched by McManaman from around 12 yards out. It was too little too late and a season that had promised so much could now end in a relegation dogfight. Rosler looked shocked and dejected in his press conference after the defeat. He apologised to the fans and admitted his team’s performance was embarrassing. “I make it absolutely clear that I take full responsibility but, when it comes to analysing the game, we gave up. I apologise to the chairman and to the supporters, because it’s very seldom any team under my charge can be accused of giving up. We gave up in the second half and I felt embarrassed. I’m not sure it meant as much to some of my players as it meant for our supporters and our chairman. “In any competitive game of football, you never give up, you always fight to the end. To give up at Bolton, in a derby game? It’s unforgivable. The players clearly have a responsibility to turn up and put in a performance and the second half display was abject, but in football the buck stops with the manager. Rosler’s position as manager looks extremely tenuous today. Wigan Chairman Dave Whelan will be giving serious consideration to the situation over the weekend and a change could be in the offing. This entry was posted in Bolton Wanderers, Callum McManaman, Championship, Craig Davies, Lee Chung-yong, Max Clayton, Uwe Rösler, Wigan Athletic and tagged Bolton Wanderers, Callum McManaman, Championship, Craig Davies, Lee Chung-yong, Max Clayton, Uwe Rösler, Wigan Athletic. Bookmark the permalink. Is it true Dave Whelan is giving serious consideration to the situation over the weekend or is that just speculation? Of course he’s considering Rosler’s position, he’d be daft if he wasn’t. He also needs to consider who to bring in, if he decides Rosler must go. Good point. The problem is we have a team who for half the match and sometimes more, look like they are going to win, then for some reason fall to pieces and give the points away. I don’t think that’s down to team selection. Distractions like poppies and Kansas don’t help, but we are also missing the likes of McArthur and Gomez. This squad needs to get to know each other and create a unified team ethic. I feel a certain amount of sympathy for Uwe because this guy got us to the playoffs and the semis of the FA cup last season. Who would be able to do that this time.